The annual Pine Wood Derby was held at the Village of Lake Success. This is one of the most exciting events of the year! Scouts and parents were creative and handy in constructing and painting race cars out of a block of wood. The race was very competitive and fun for all. Prizes were awarded for the top three racers in each den, the top three racers in the pack, the most realistic design and the most creative derby car. Congratulations to the winners! The Bear also hosted a Pack 178 Carnival with carnival games in a room adjacent to the Pinewood Derby race track. Kids were able to win raffle tickets for prizes to be given away at the end of the event. 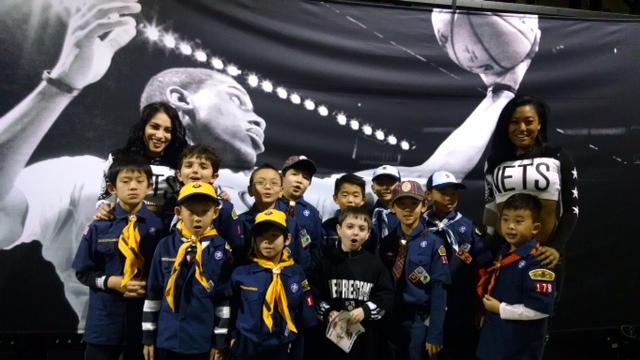 Scouts at Barclays Center for Nets vs Magic. 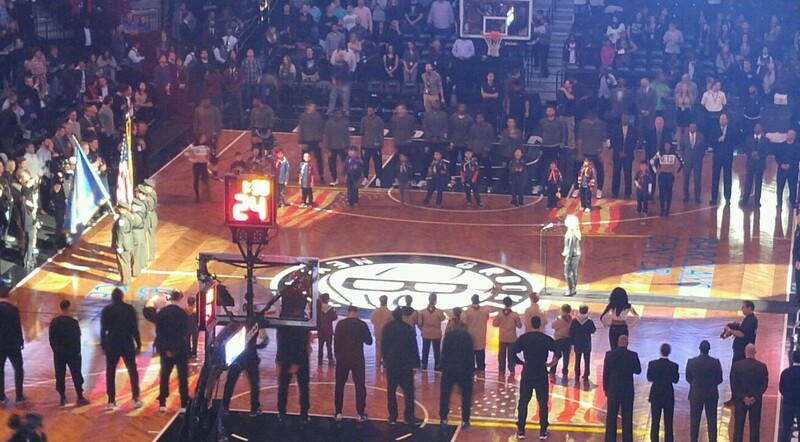 The scouts had the opportunity to get on court and stand next to players for the national anthem!